Does your car need a little extra Wildcats flavor? Spice it up with this K-State Wildcats License Plate. 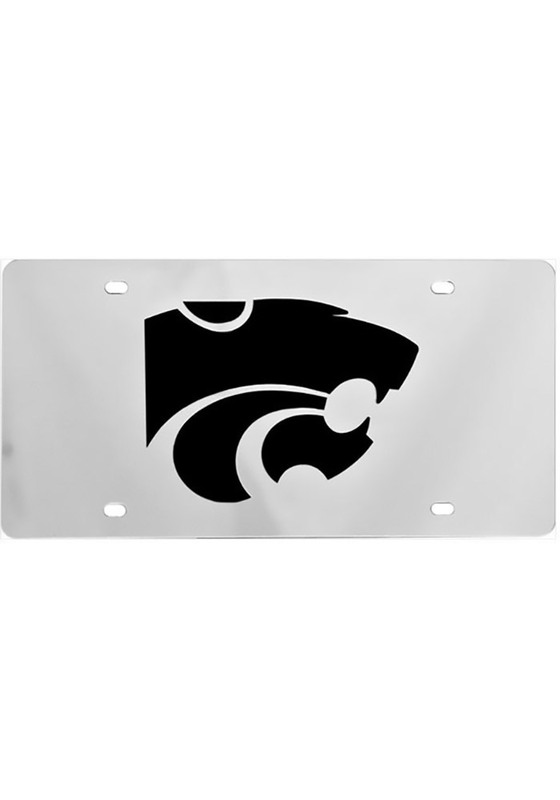 This License Plate features a black Powercat logo and will give it that K-State Wildcats flavor your car needs. Loved the look and quality of this plate - two cars and thousands of miles, a lot of road trips, it stood the test until someone backed into my bumper and broke it. :( Now I'm getting another plate with my favorite Jayhawk. The plate looks great except that the black Powercat on the plate is smaller than the previous plate that I purchased a few years ago. Love the picture with the band on the field. Had 4 of these between all our cars. As it ages, a letter or two may fall out. Only issue. Buying another since S fell out after only a year. I love that this license plate is black and silver to match my car! Through multiple washes, it is still in very good condition. RH also recommended to me the clear plate cover for added protection. I've had this license plate for almost 5 years now and it still looks great. I drive close to 25k miles a year, mostly on city highways, and this plate still hasn't chipped, cracked, or broken.